I came across an interesting short video from the Frick Museum with details about one of my favorite paintings, a portrait of Sir Thomas More done by Han Holbein. I thought I would show it along with a repost of a blog entry from back in 2009. Take a look. You run across a lot of people who are completely dismissive of anything from the past. They feel that we at the moment are the leading edge of humanity’s progress, that we are the culmination of all that has come before us and thus, anything created long before our time can not have equal value now. There’s this sense that only the modern can fully express the complexity of our world. 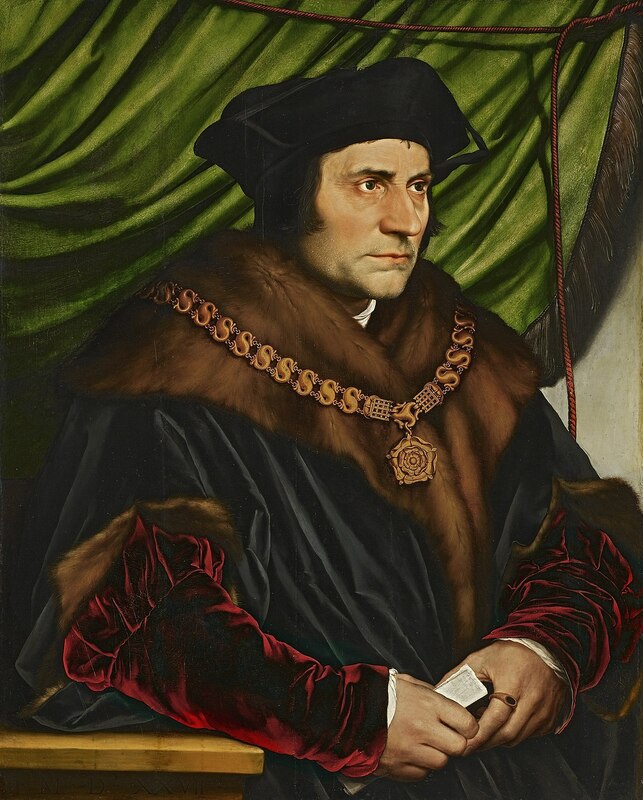 When I see this painting of Sir Thomas More painted by Hans Holbein the Younger in around 1527 I realize what flawed logic that is. Here is a painting that was painted nearly 500 years ago that, when seen in person at the Frick in NYC, has surfaces that are absolutely beautiful. It still glows with its sumptuous colors. All the years of technical progress have not produced materials that could accomplish any more than Holbein did with the materials of his time. I could stand and look at this piece for hours, marveling not only at the beauty of the paint but at the way Holbein captured More’s humanity and the sense of the time in which it was painted. For me, this painting really illustrates, gives life to, an important figure in history. More was the ultimate man of conscience, refusing to give in to Henry VIII‘s will that he endorse Henry’s divorce from Catherine of Aragon so that he might marry Anne Boleyn. It ultimately cost him his head and cost the world a wonderful mind, one that gave us the concept of Utopia. It is obvious to me that Holbein felt warmly towards More in the way the piece is painted and the way he captures his persona. 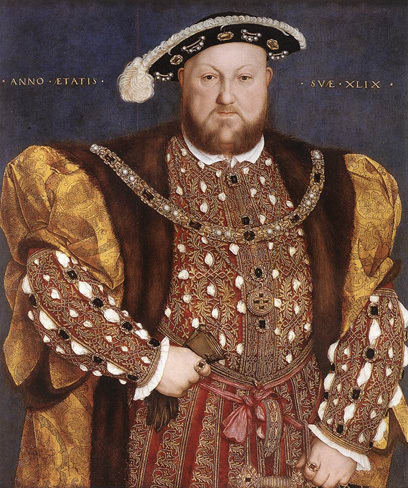 In the painting Holbein did of Henry VIII (on the left) I get a different sense. It’s meant to be large and strong, to be a display of regal power and that it is. But there’s a coldness in the piggish eyes and an arrogance in the stance. Oh, it’s a beautiful painting, on many levels, but when you compare the two it’s obvious where Holbein’s sympathies lay.